I’m a professional traveler. In 2017 alone, I visited 17 countries and traveled over 118,000 miles. I covered all of that ground “on wheels”—specifically in an electric scooter—because I can’t walk due to having multiple sclerosis. As a result, I have experienced flying as a disabled passenger on over a dozen airlines across over a hundred flights. In my three years of traveling this way, I’ve come to the conclusion that airlines don’t care about people with disabilities who require the use of a wheelchair. Here are five reasons why. 1. 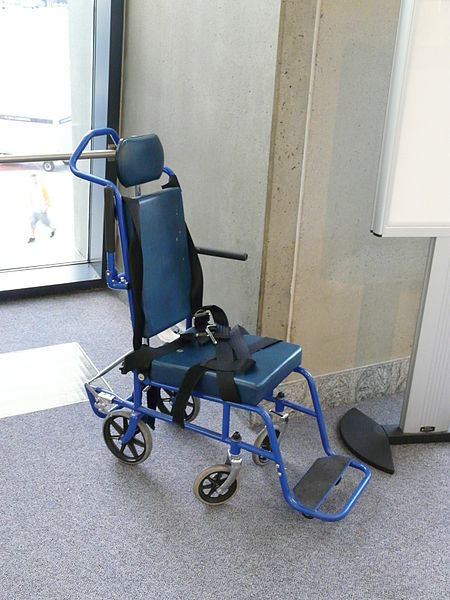 Repeated catastrophic damage to wheelchairs. In June 2017, Kenny Salvini flew from Seattle’s Sea-Tac airport to Washington, DC to meet with congressional leaders to advocate for people with spinal cord injuries. He was injured in a snow skiing accident in 2004, and as a result is paralyzed from the neck down. He also used a very expensive customized wheelchair that he maneuvers using his head. It was this wheelchair that Alaska Airlines somehow damaged beyond recognition on the return trip to Sea-Tac. A year earlier, United Airlines had done the same thing to Salvini’s power wheelchair. It took six months to fully repair his wheelchair after that trip. That story is one of the more viral out of dozens that appear in the media every year. There are likely thousands more that never see the light of day. The problem is that many wheelchair travelers are unfamiliar with their options when their chairs get damaged. Airlines are required to pay for wheelchair repairs, but those repairs can take weeks or longer. This can be life-altering for users who rely on expensive devices that are highly customized to their specific physical needs. Airlines also like to play the blame game with airports, whose local ground crews are the ones loading and unloading wheelchairs from the airplanes. Making things even more difficult for accountability is the opacity of this process. Trying to find out how airlines and airports train their employees on how to handle wheelchairs—and how improvements can be made to that training—is next to impossible. 2. Caving to lobby groups over damaged wheelchair tracking. Have you ever lost a suitcase or had one damaged? Statistically speaking, the answer is probably yes. All pieces of luggage have scan codes on their paper tags that allow airlines to track their location. When they get lost or get reported by travelers as damaged, this information goes into a database that allows airlines to track and quantify how often this happens. The same is not true for wheelchairs. In November 2016, the Department of Transportation (DOT) published a rule that said airlines operating in the U.S. would have to begin reporting when they lost or damaged mobility devices, with a compliance deadline of Jan. 1, 2018. But then in March 2017, the DOT pushed that date back to Jan. 1, 2019 on the request of Airlines for America (a lobby group) and Delta Airlines. Paralyzed Veterans of America (PVA) deemed this delay unacceptable, and in July 2017 filed a lawsuit against the DOT over the delay. In the lawsuit, the PVA said, “The sole stated rationale for this delay was two letters and an email received from airline companies citing a purported regulatory freeze by the [Trump] Administration and unspecified ‘challenges’ meeting the 2018 compliance date.” It continued, “The airlines in their correspondence did not specify any specific challenges encountered. DOT did not seek any public comment, and the new final rule is bereft of any explanation for how DOT determined that a delay in the compliance date was warranted or whether and how it assessed the delay’s impact on air travelers with disabilities.” The bottom line? Airlines don’t want to spend the time or money to implement a new tracking system, so they used their lobby group to pressure the government to cave to their demands over the needs of wheelchair users. 3. Routine violations of the ACAA. The Air Carrier Access Act (ACAA) was passed in 1986, and is basically a bill of rights for airline passengers with disabilities. There are some parts of the ACAA that wheelchair users should definitely be familiar with, but airline employees are supposed to be familiar with all of them. This requirement doesn’t prevent airline and airport employees from violating the ACAA—often multiple times—when a wheelchair user flies the friendly skies. For example, wheelchair users must be afforded the opportunity to board the plane before everyone else—including the highest tier of frequent fliers—and regardless of airport employees running late with boarding assistance. Wheelchairs must be returned to their owners at the aircraft door in a timely manner, and not two hours later in baggage claim outside customs and immigration. Flight attendants are supposed to personally provide a safety briefing to disabled passengers. These are just some examples of the more common violations, and airlines rarely get dinged for them—mostly because many disabled travelers don’t know their rights under the ACAA, and thus don’t file complaints. As such, airline and airport employees have no incentive to improve their levels of ACAA compliance. 4. Lack of meaningful compensation for ACAA violations. When an ACAA violation occurs, wheelchair users can (and should) file formal complaints with the airline first, and if no resolution occurs, with the DOT. The DOT is required to investigate and work with the offending airline to reach a resolution. By law, the DOT is authorized to levy fines against airlines if the violation is egregious enough. In 2016, the DOT reported receiving 27,843 disability-related air travel complaints. That’s compared to the 26,401 received in 2015, 24,044 received in 2014, and 21,965 received in 2013. 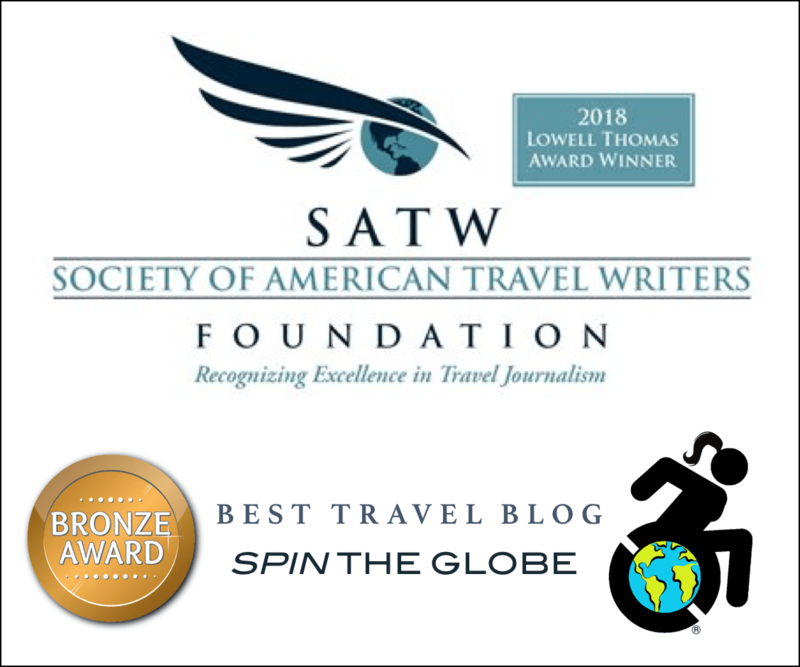 Unfortunately, it’s very difficult to determine if the steady annual increase in reports is related to decreasing airline care and service, increasing traveler awareness, higher air travel volume, or a mix of all three. So what happens when a wheelchair user complains? In order to receive compensation, the airline first has to admit fault. This is much harder than it sounds. Airlines love to point fingers at airport ground crews and vice versa. Even if they do admit fault, you are likely going to get no more than frequent flier miles deposited into your account or a voucher that can be applied to future travel on the same airline. Given that many wheelchair users rarely fly and are even less likely to fly again on the same airline that wrecked their chair, this form of compensation is mostly useless. Under current law, disabled travelers cannot sue airlines for ACAA violations, and trip insurance policies do not cover damage to wheelchairs. Even though the DOT can levy fines or other punishments against an airline, they rarely do. This action is called an enforcement order, and they only issued two of them in 2017—one for $400,000 against Frontier Airlines for not properly accommodating disabled passengers in an oversold flight situation, and one against American Airlines for not properly accommodating a passenger with a service animal (no monetary fine levied). In 2016, the DOT fined United Airlines $2 million for not providing proper “enplaning and deplaning assistance, including connecting assistance and assistance in moving within the terminal.” That sounds like a lot of money, and perhaps incentive for airlines to actually improve their services for disabled passengers. United Airlines received $2.3 billion in net income in 2016. Given the lack of any real or meaningful punishment arising from ACAA violation complaints, airlines are not truly motivated to improve the level of service they provide to wheelchair users. 5. Resistance to installing accessible lavatories. According to the rules of the Air Carrier Access Act, all dual-aisle aircraft built after 1992 are required to have at least one wheelchair accessible lavatory. However, there is currently no requirement to install accessible lavatories in single-aisle aircraft. As a result, many wheelchair users intentionally dehydrate themselves prior to flying. In July 2016, two-thirds of 931 people surveyed by Paralyzed Veterans of America said the inability to use the lavatory was enough reason for them to not fly. Even first class airplane lavatories are tiny! In September 2016, the DOT’s ACCESS Advisory Committee met for three days to discuss the issue of accessible lavatories, among other issues. They did reach an agreement, but it was laughable at best. The short-term solution would take effect three years after the final rule requiring them was published. It would require new single-aisle aircraft to have lavatories outfitted with pull-up handles, and toilets that are 17 to 19 inches high (not fully accessible). 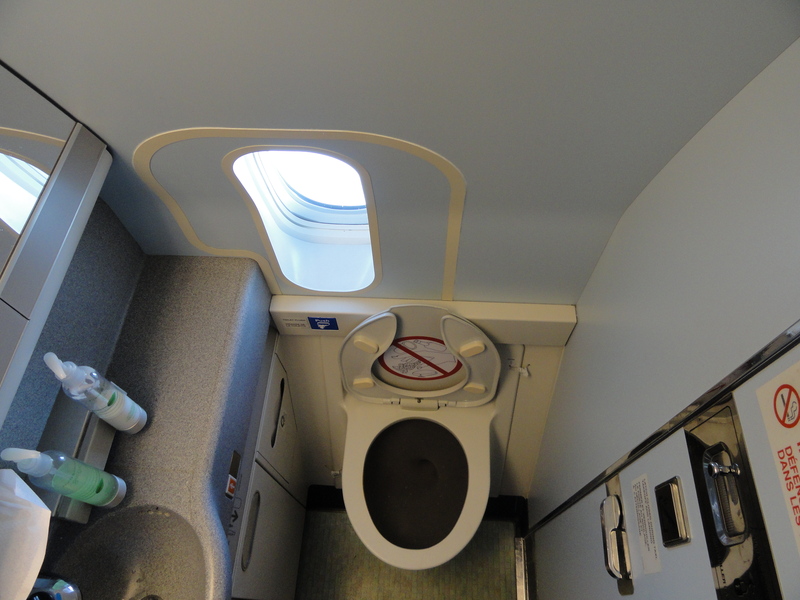 The long-term solution would require new single-aisle aircraft to have wheelchair-accessible lavatories equivalent to those found on wide-body aircraft. It would take effect 20 years after the final rule was published. Both solutions apply to single-aisle aircraft with more than 125 seats. The DOT said it planned to issue a notice of proposed rulemaking based on this agreement in July 2017 so the public could comment. After 60 days, the DOT would then review the public comments and either decide to proceed with the rulemaking as proposed, or modify the original proposal. As of this posting, the DOT has still not issued this notice in compliance with its own requirements. In other words, more than a year since the committee reached this agreement, there has been no forward legal movement to implement their recommendations. It would be irresponsible of me to lump all airlines and employees into one huge pile of cruel and uncaring players in these scenarios. After Kenny Salvini’s incident with Alaska Airlines, they took the initiative to implement better wheelchair handling procedures with Salvini’s personal input. 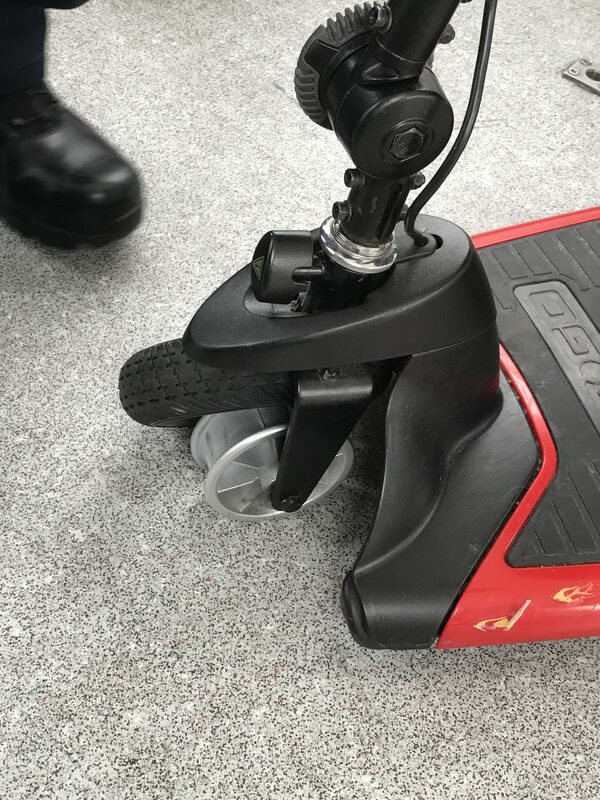 I have seen several airport ground crew members at Ljubljana’s small airport in Slovenia work very hard to repair my electric scooter tire that mysteriously slipped off its rim at the Frankfurt airport. JetBlue has onboard aisle chairs as a standard, and so does Southwest on its newer jets. But I have also seen baggage handlers treat our wheeled “legs” like meaningless cargo, flight attendants who have no clue how to operate an on-board aisle wheelchair, and gate agents who, after 20 years in the business, have no idea how to process an ACAA request for an aisle chair to be provided on a domestic single-aisle aircraft. I have come across many people in the air travel industry who truly care and want to help. But airlines? I’m still waiting on convincing evidence that they care at all about wheelchair users. Regarding #2, I don’t get it, because we happened to sit in the same row as a person personally involved in that initiative, and he informed me that mandatory DOT reporting would be starting in 2018. It was supposed to go into effect this month. Then A4A and Delta got involved, so it got pushed back a year. That’s why PVA is suing, thank goodness. Pingback: Airlines: What the £uck Happened to the Joy of Flying? My name is Bryan and I am a service technician for a company called Numotion. I specialize in repairing and modifying these power chairs to my clients specific needs. This subject is very close to my heart as my uncle fully relied on his powerchair. I would love more than anything to have a roundtable with a group to go over ideas and ways to protect people’s mobility devices on these flights. I have a couple of ideas that may help and possibly secure ones thoughts when they travel with the most important thing to them. Please email me or respond in the comment section. Hi Bryan! 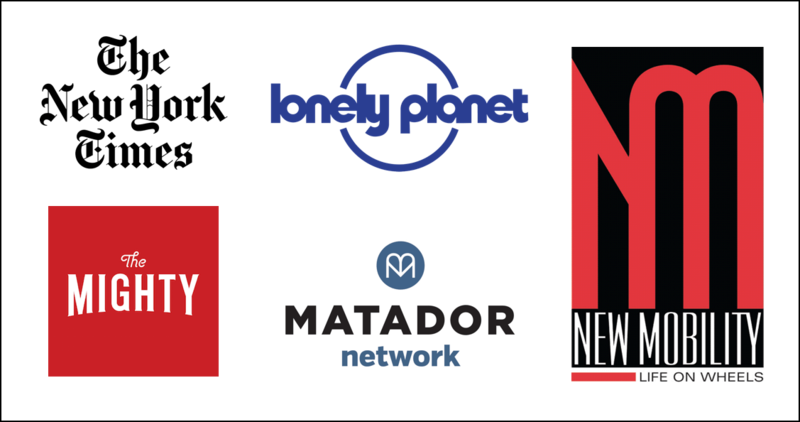 I’m going to be out of the country this week, but please feel free to email me at sylvia@spintheglobe.net! It is our lifeline! If we arrive at our destination with our wheelchair/scooter inoperable our lives are hugely affected. I have only flown one time with my mobility scooter, and it was successful. I was so nervous about my scooter that it sent me into a spot I do not like to go…lack of control…not pretty when a control freak is NOT in control. We arrived at our destination and there was my scooter in perfect condition. I’ve never been so relieved!! I thank the good crews!! But that experience was too freaky for me to fly again any time soon. Just the bathroom experience was enough to stop me . It is not for the faint of heart. I wish the airlines would do the right thing and put a priority on making planes more accessible so we can use our wheelchair/scooter on the plane.